Fighters of haredi battalion protesting violent arrest of Jews by Border Police suspended from duty until end of investigation. An IDF spokesman has confirmed reports that a confrontation broke out last night between Border Police officers and combat soldiers from the haredi "Netzach Yehuda" battalion (also known as 'Nahal Haredi'). The IDF said in a statement that 50 Jews demonstrated in the Beit El area, protesting the recent attacks at Ofra Junction and Givat Assaf Junction. During the demonstration, three suspects were arrested after they allegedly threw stones at Arab houses. The IDF says that after the three were arrested, two IDF soldiers serving in the area arrived in an attempt to secure the detainees' release. A confrontation ensued and Border Police arrested the soldiers, transferring them to their commanders for further action. 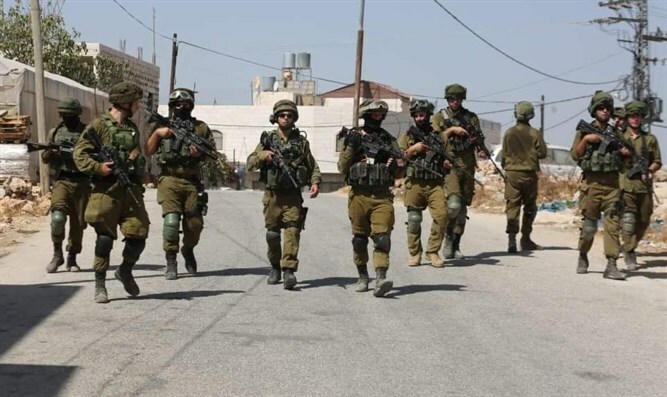 The soldiers involved in the incident were suspended until a joint investigation of the incident by IDF and Border Police commanders is completed.